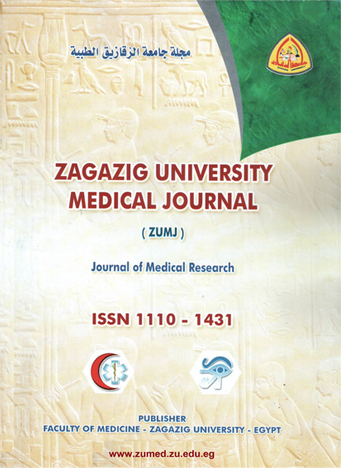 2Assistant lecturer of clinical pathology, faculty of medicine zagazig university. Background: Bronchial asthma is a characterized by chronic inflammation with reversible airway obstruction and airway hyper-reactivity. In order to choose the most appropriate line of therapy we need to understand the sequence of inflammatory reaction at every stage of asthma. Aim of the work: we aimed to study apoptosis tendency, CD4+/CD8+ ratio, memory /naïve , and T- helper 1 and 2 cytokines in vitro synthesis from peripheral blood lymphocytes (PBL) in mild persistent asthma and severe persistent asthma during acute exacerbation attacks. Patients and methods: This study comprised 50 participants divided into three groups: Group I: 10 healthy volunteers, Group II: 20 patients of mild persistent asthma, Group III: 20 patients of severe persistent asthma. All members of this study were subjected to: Immunophenotyping by flow-cytometry. Lymphocyte populations were analyzed by using CD3+CD4+ (T helper cells), CD3+ CD8+ (T cytotoxic cells), CD4+/CD8+ ratio, BCL2, CD45RO+ (memory T cells), and CD45RA+ (naïve T cells) markers with calculation of CD45RO+ / CD45RA+ ratio and Th2/Th1 cytokines profile, in the form of IL-4/IFN-γ ratio by Enzyme linked immunossorbant assay (ELISA). Results: We found an elevation in CD45RO and CD45RO+ / CD45RA+ ratio of T lymphocytes in severe than in mild asthmatics. Bcl-2 was elevated in severe asthma in relation to mild asthma and healthy group. While, no significant difference could be detected in CD4+/CD8+ ratio among the three groups. IL-4 and IL-4/ IFN-γ ratio were increased in the mild and severe groups compared to the control group. Conclusion: The immune reactions differs greatly according to the severity of asthma, with more memory T cells, longer life span of PBL and a greater role of Th1 cytokines.